How should you effectively take care of your document files? Create rapid-wins on your balance sheet: DMS frees up admin effort spent locating and retrieving documents. a cloud-based DMS will decrease reliance on both local-physical hardware and costly server licensing fees (reducing the business’s office space and IT spending requirements), and it also provides anytime/anywhere connection to critical files and docs. Reduce overhead costs: A well-thought-out paperless system not only lowers man-hours, but it can reduce overhead expense by thirty percent to forty percent, including paper costs and document storage space. It can even positively impact on carbon credit. Drive profit and growth: The efficiencies of a DMS managed paperless office can be maximized when utilized with other productivity tools, such as workflow management. Secure paperless offices realize significant lowering in cost, delivery time, training periods, and improved performance on key growth metrics. This allows a business to accomplish more with less time and expense. Document Security: DMS is the safest method to save and share sensitive documents. Security provided through sophisticated DMS systems protects your clients, your business, and your bottom line, and is a simpler and safer way for access and transmittal than email, FTP, or physical document distribution. Quick response times: DMS provides for faster, more accurate access to information which not only increases workflow productivity, it also improves customer quality satisfaction. 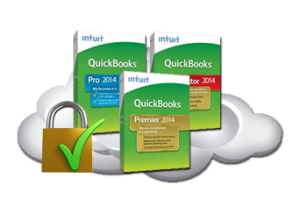 Cloud9 Real Time can help move your business towards cloud-based document management software and paperless efficiency – Cloud9’s cloud hosting solutions garnered more industry awards in 2012-14 than all other Intuit authorized cloud service providers combined, including the Sleeter Awesome App, the K2 Quality Technology Award, the CPA Practice Advisor’s 2012 and 2013 Reader’s Choice Award, and the 2012-13 UP Award as one of the Best Cloud Hosting companies, to name a few.